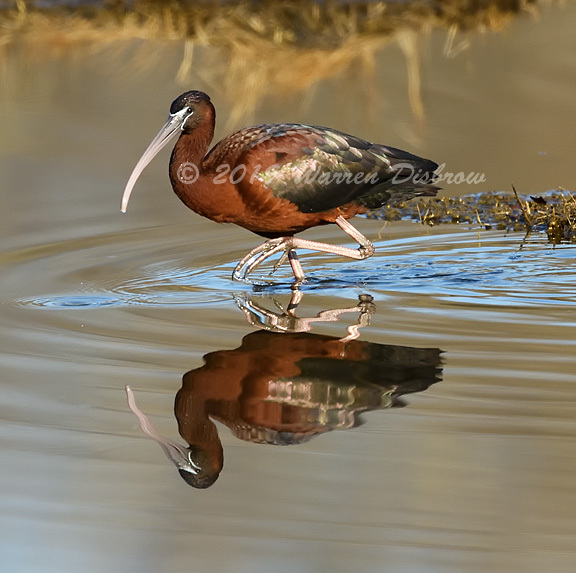 Glossy Ibis foraging, Nikon D850 with 600mm and 1.4 TC. Very nice foraging pose with the raised foot, Warren. Sweet glassy water, nice light, and a cool reflection. You might consider moving your copyright notice off of the body of the Ibis to one of the corners below. A fine photograph. Super light and reflection image Warren. Agree on the copyright notice. Really striking photo-too bad about the copyright. Understandable intention, but it rather spoils the effect.